Kensington Riverside Inn is a premier luxury 19-room boutique inn that combines upscale accommodations with an intimate charm. Located steps from Downtown Calgary along the banks of the picturesque Bow River, it’s a chic and stylish venue with a warm and personal feel. The whole place has an upscale Bed & Breakfast feel to it. The inn’s superb 40 seat restaurant that was voted Best Hotel Dining in 2009 (Where Magazine), and was voted one of Canada’s best new restaurants for 2008 by enRoute Magazine. 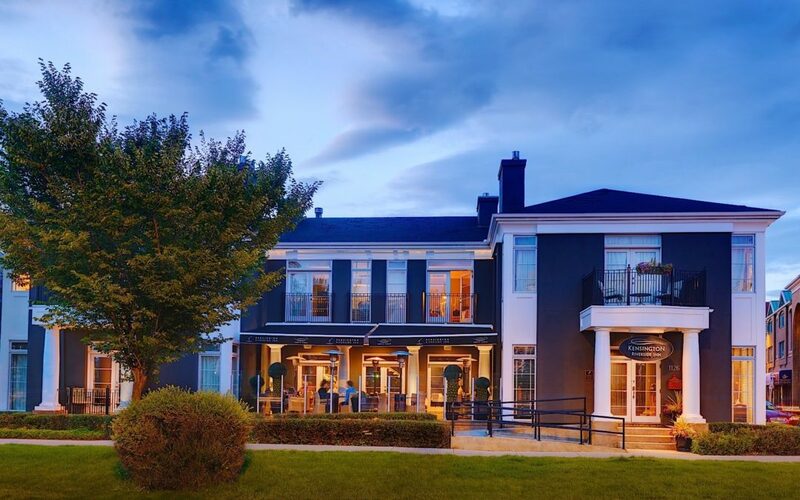 Originally designed by award-winning architect Richard Lindseth, the Kensington Riverside Inn exudes an upscale residential charm with an ambiance that is light, airy, gracious and inviting. The stylish rooms were all individually decorated to make guests feel at home. The 19 rooms and suites feature triple-sheeted Frette linens, heated towel bars, 42” flat-screen plasma TVs, personal wine cabinets, high-speed wireless Internet, voicemail, high-end furnishings, independent climate control and windows that open. Some rooms also feature gas fireplaces, double jetted Jacuzzi tubs, balconies and patios. Because of the intimate nature of the inn, parking is limited, but not a deal breaker. The dining room can only hold 40-70 people for sit down dinners, and 80 people for a cocktail style reception wedding, so it’s only suitable for certain types and sizes of events. For those looking to combine sophisticated elegance with intimate charm, Kensington Riverside Inn provides the perfect marriage of both.